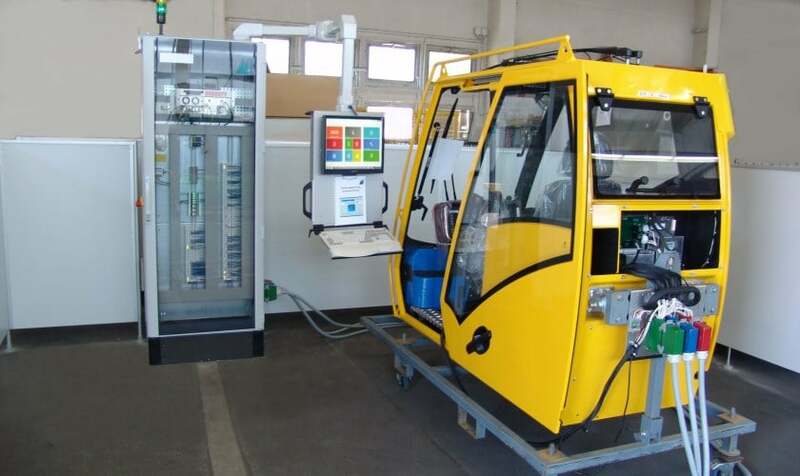 IGH Automation has developed several test stands for carrying out final tests on main assemblies for a leading manufacturer of hydraulic mobile cranes and lifting gear. They enable upper structures, lower structures and booms to be tested on different assembly lines. All subassemblies undergo a thorough electrical, functional and control test. The surrounding residual system of not yet installed main components is simulated. For the first time, this enables the testing of incomplete products such as individual modules or complex components. Furthermore, function tests can also be performed under realistic conditions. Important: Every mobile crane is made to the customer's specific requirements, and this is what makes quality assurance so important. The test software from the ERP system takes care of the actual configuration of the vehicle. "The assembly and commissioning process runs noticeably more smoothly and with more structure. We've achieved the time savings that we were aiming for. The processes are more transparent because a precise analysis of the cause is now possible thanks to the automatically recorded digital test data". Find out more about our function test benches for assemblies or our testing software via E-Mail.